The St. Louis Cardinals system went 2-1 on Sunday with starting pitching again making the difference. Player of the Day Austin Gomber and Anthony Shew set up wins for Memphis and Springfield, but Peoria’s Alvaro Seijas struggled. Recaps of games played on Sunday, May 27. 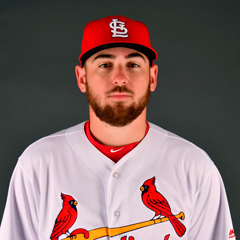 Backed by another strong start from Austin Gomber and a four-run third inning, the Redbirds enjoyed a 6-0 victory over the Sky Sox. Gomber, our Player of the Day, improved to 4-3 on the year with six scoreless frames, during which he fanned six and allowed five base hits. In relief, Mike O’Reilly turned in two perfect innings before Arturo Reyes logged a shutdown ninth. Left fielder Rangel Ravelo led off the third inning with his third home run of the season, one of his two hits and two runs scored. Second baseman Ramon Urias knocked in two, and third baseman Patrick Wisdom and catcher Andrew Knizner each drove in one. Monday’s game: Ryan Helsley (1-0, 1.93) vs. Colorado Springs Sky Sox, 1:05 PM Central time. With a quality start from Anthony Shew to build on, the Cardinals defeated the Missions by a 7-3 score in San Antonio. Shew allowed just two runs over six innings as he turned in his first quality start and earned his first win at the Double-A level. Estarlin Arias posted zeroes in the seventh and eighth before Ramon Santos surrendered a virtually harmless solo home run in the ninth inning. Center fielder Lane Thomas drove in three of Springfield’s runs, two during the club’s four-run rally in the third inning. Right fielder Blake Drake hit his second long ball of the season in the sixth, a two-run shot, and shortstop Edmundo Sosa and left fielder Victor Roache each drove in a run. The team collectively went 5-for-8 with runners in scoring position. Next game: Connor Greene (4-3, 4.05) vs. Corpus Christi Hooks, Tuesday at 7:30 PM Central time. Due to wet grounds, Palm Beach’s twin bill with the Clearwater Threshers could not be played. As the clubs do not meet again in the first half, both contests have been cancelled and will not be rescheduled. Following a scheduled day off Monday, the Cardinals will host the Charlotte Stone Crabs at 5:30 PM Tuesday. 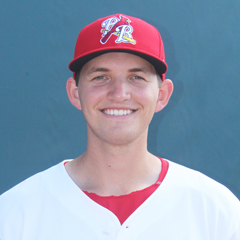 Austin Warner (3-1, 2.86) is the Cardinals’ scheduled starting pitcher. The River Bandits opened with four runs in the first inning and did not look back, defeating the visiting Chiefs by an 8-3 final score on Sunday. Alvaro Seijas had a rough outing. In 5 1/3 innings, Seijas was touched for 10 hits and five runs (four earned), with the River Bandits taking advantage Seijas’s season-high five walks. Newcomer Robert Calvano pitched two innings of three-run ball in relief before C.J. Saylor recorded the final two outs. Peoria scored three runs in the fifth inning, highlighted by third baseman Elehuris Montero’s two-run double. 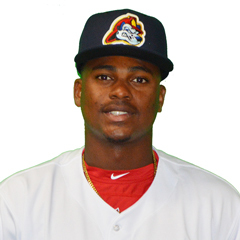 Before Montero’s knock, shortstop Yariel Gonzalez put the Chiefs on the board with a single to score designated hitter J.R. Davis. On Montero’s hit, Gonzalez and first baseman Zach Kirtley scored. Monday’s game: Johan Oviedo (1-4, 7.34) at Quad Cities River Bandits, 5:15 PM Central time.